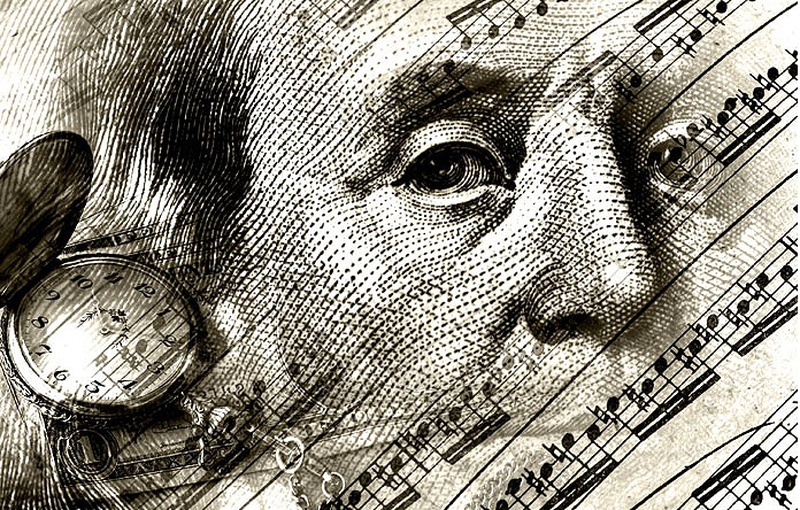 Music can teach you something about money? You must cannot believe it before, yet there are three things music can teach us. Think about a child banging on some kitchen pots or a jackhammer in the street. The erratic sounds can hardly be classified as music, because what distinguishes music from any other sound is organization. When someone decides to learn an instrument, they start by learning different scales, arpeggios, and chords. This system of organization enables them to transform haphazard noise into a unique and coherent piece of rhythm and melody. In the same way, successfully managing our finances must start with organization. Otherwise, without a good system in place, our financial life may look like haphazard decisions made based on fickle emotions rather than thoughtful planning. There are many various choices to be made when organizing your financial life, just as a musician has literally billions of patterns and combinations he could use to organize sound into music. Tip to start organizing your finances: A simple way to start is to group your finances into smaller and more manageable units in the same way music is organized into scales, chords and arpeggios. For example, a group called Cash may consist of your cash flow, designed to track monthly cash surplus or cash deficit numbers. Giving could include your monthly charitable gifts. Time may include time based goals which may need funding such as a child going to college, or replacing your kitchen. The musical preference of the musician will dictate the decisions that she makes while playing. For example, a flamenco guitarist and a rock guitarist use the same instrument to play, but their different musical tastes will determine which notes they use and which notes they leave out, their strumming technique, and the movement of their fingers along the fingerboard. Similarly, a person’s financial decisions should reflect their personal values. A healthy financial life emerges when all of our financial decisions are in harmony with our personal values. For example, if you prioritize giving, you will be certain that your resources are set up in a way to share your wealth with family and perhaps get involved in philanthropic projects. While someone who prioritizes Risk above all may wish to maximize insurance coverage. Tip to start aligning your money with your values: Start by making a list of the things that you value most. Kind of like a “gratitude” list. Now take a good look at your financial life. Are your spending, saving, investing and making choices based on what matters most to you? Are there past decisions that you regret? Are there decisions that you keep putting off? What are the consequences if you take no action? The best part of learning to play an instrument is getting to share the music with others. Yet there are inherent risks that come with playing for an audience. For example, during a guitar performance a string might pop, the guitar may go out of tune, or in a moment of panic the musician may forget the right chord to play. All these things are unplanned situations that will negatively impact the performance, but they shouldn’t make the musician fearful of playing. The musician cannot eliminate the risks, but they can mitigate them by placing an extra guitar on the stage, getting a digital tuner, or making sure they have a copy of the music handy. On a larger scale, life is full of unplanned events that almost always have a financial impact. For example, you break a leg and become disabled in an accident or your aging father may develop dementia and you now become the primary caregiver. There is no way of predicting these circumstances, yet an important part of successfully managing your finances is first to understand which risks are perceived. Risks should not paralyze us, but rather encourage us to create a plan to cushion the blow. Tips to mitigating financial risk: A common way to manage the financial impact of risk is to transfer it to an insurance company. Life, Long-Term Care, Disability, and Property & Casualty insurance play an important part in one’s financial life. Kind of like having a copy of your music nearby in case you forget a chord. There is rhythm all around us. From the rise and fall of the sun, to the daily gyrations of the stock market to the beat of our heart. To master the rhythm of music, the student of guitar must learn to keep his right strumming hand in play, responsible for creating a steady rhythmic flow, even when the left hand is not quite developed. To master the rhythm of cash flow, the life blood of our financial life, the student of financial harmony, must learn to balance income with expenses, even when emotions overwhelm reason.